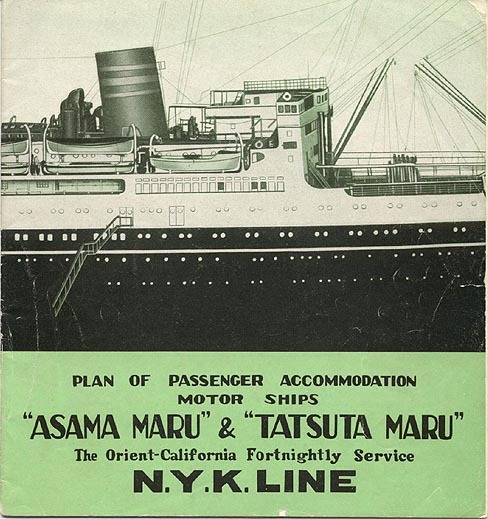 "Plan of Passenger Accommodation Motor Ships 'Asama Maru' & ' Tatsuta Maru- The Orient-California Fortnightly Service N.Y.K. Line," 1929. Published by the N.Y.K. Line (Nippon Yusen Kaisha).